WELCOME TO BIJOU CREEK. THIS BRAND NEW DEVELOPMENT IS LOCATED 40 MINUTES EAST OF DENVER. DEVELOPMENT CONSISTS OF NEWHOMES ON OVERSIZED LOTS. 150 LOTS IN ALL. PAVED ROADS W/ SIDEWALKS. 10 DIFFERENT MODELS- ALL WITH STANDARD 2 CARATTACHED GARAGES. ADJOINS BRAND NEW K-12 SCHOOL CURRENTLY BEING BUILT. ALL MODELS INCLUDE FULL UNFINISHED BASEMENTS. PRICED FROM THE MID 200'S. ALL MODELS COME STANDARD WITH SLAB GRANITE COUNTER-TOPS, KNOTTY ALDER CABINETS, TILE FLOORING, LAMINATE FLOORING, WALL TO WALL CARPETING AND LANDSCAPED FRONT YARD. 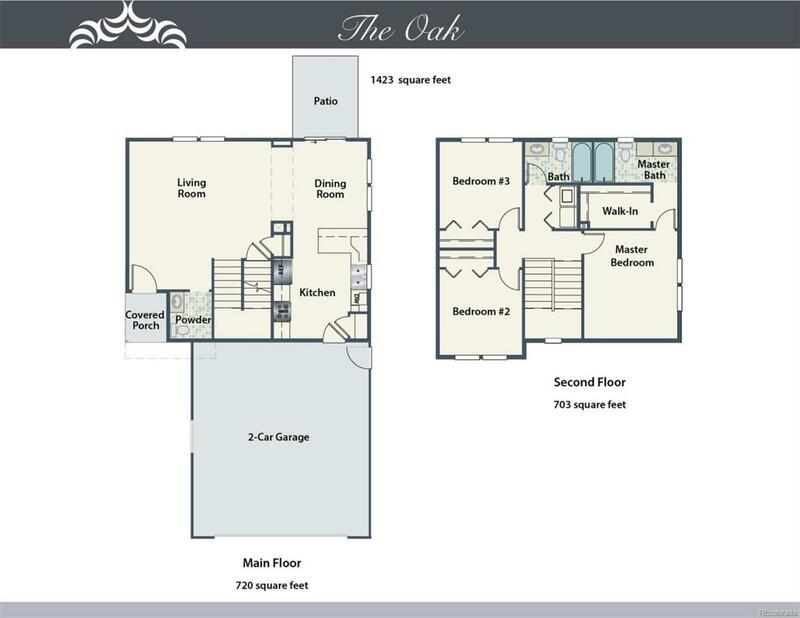 YOU WILL BE AMAZED WITH THE SPACE THIS OAK MODEL PROVIDES. ENTERING THE HOUSE YOU ARE WELCOMED TO THE THE LARGE FAMILY ROOM WHICH IS OPEN TO THE DINING AREA AND UPGRADED KITCHEN. THE MAIN FLOOR ALSO FEATURES A 1/2 BATHROOM AND ACCESS TO THE BACKYARD. UPSTAIRS YOU WILL FIND THE LAUNDRY ROOM, MASTER BEDROOM, MASTER BATH, 2 ADDITIONAL BEDROOMS, AND GUEST FULL BATHROOM. DON'T FORGET ABOUT THE FULL BASEMENT. THE 3 CAR GARAGE WILL PROVIDE AMPLE PARKING SPACE.